An Ordinary Life : Leap Frog Maths! My 11 year old has seen all the hands on, tactile learning I have been doing with her younger sisters and asked if I could think of something for her too. So I did. I thought of the game Frog. A common logic puzzle that is great for Maths. 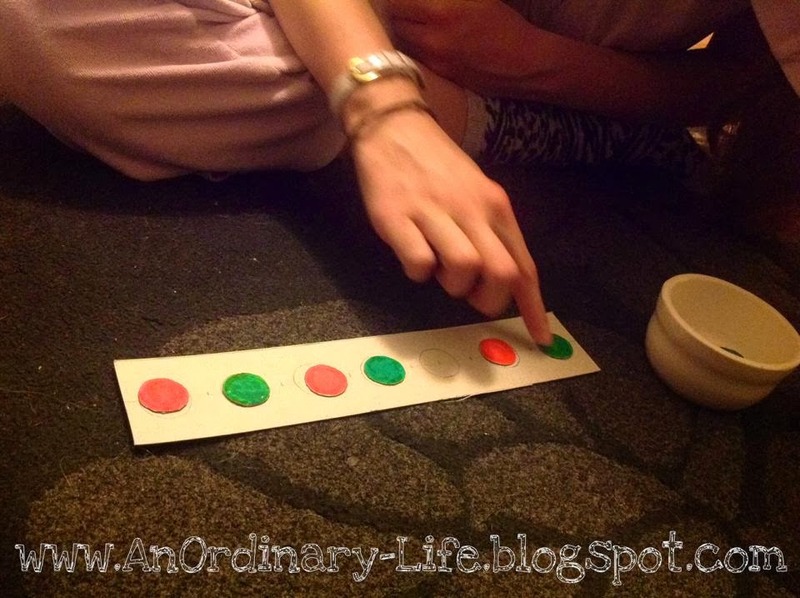 This post will not only show you how to make and play Frog but also how to turn it into a FUN algebra game. Fun and algebra in the same sentence might sound like an oxymoron to you but I think it's fun and so did my girls, even Honi, my 6 year old, had a bit of a go at the puzzle! First you will need to draw round your penny twelve times. This is to make the frog counters! Colour six of your circles, what will be the frog counters, green and colour the other six red. TIP:You can choose different colours but it is important that half are one colour and the other half a different colour. Carefully cut out all twelve counters! Next you will need to make your board. 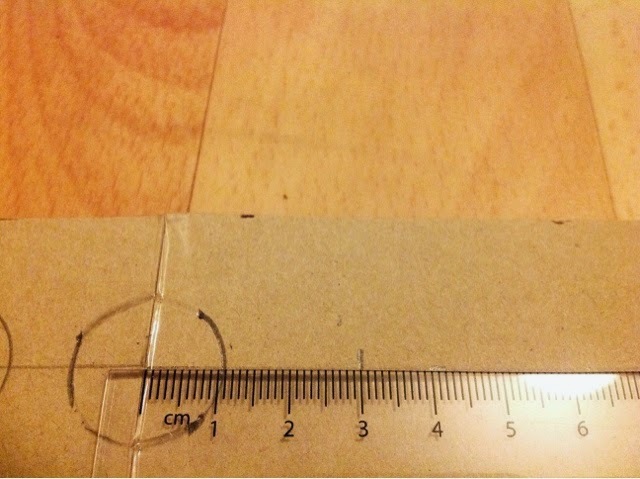 You will need a piece of cardboard that is at least 45cm long and about 5cm wide. To make our longer boards we cut out two strips from our cereal box (as in the photo) and then stuck it together with sticky tape! 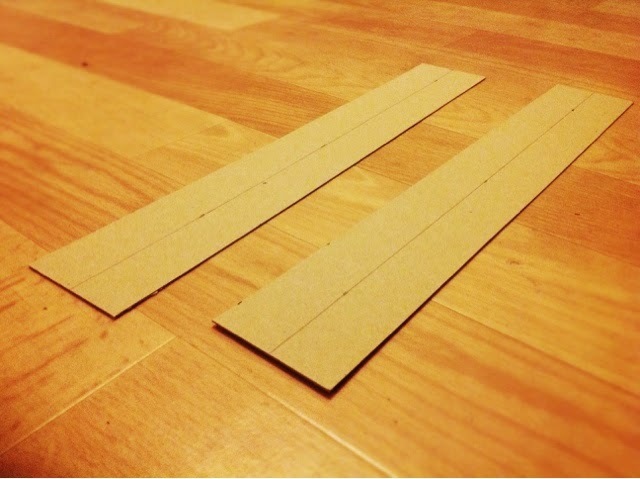 Draw a pencil line down the middle of your board like in the photo on STEP FOUR. Find the centre of the length of your strip. Mark it. On the centre mark use your penny as a stencil and draw round it so the halfway mark is in the centre of the circle when you lift your penny off. 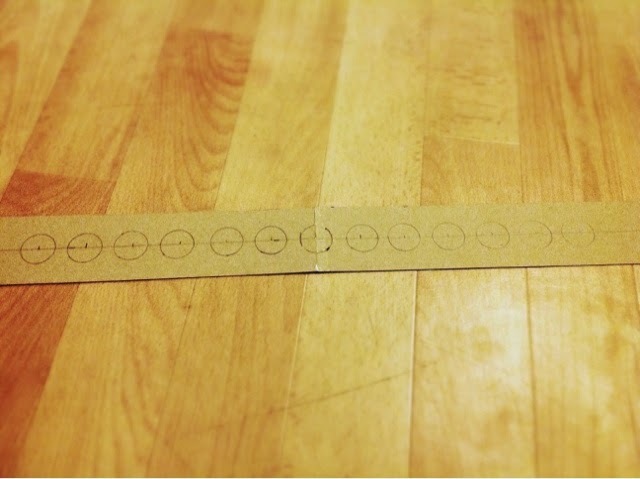 From the centre mark measure along the line you made and mark off 3cm increments like in the photo directly above. On each of these dots draw round a penny like you did with the central point and work outwards so you have something like this. That will eventually leave you with 13 round circles. You can make it longer if you want to but we did 6 frogs a side for our board. The aim of the game: To move all the red frogs to where the green frogs start and all the green frogs to where the red frogs are. That's it. Can you solve the logic puzzle? if you want to know how to solve this puzzle there is a video at the end of this post. For a free PDF Frogger table click here. Then when we had completed the table from 2 to 6 frogs, by playing the game with the appropriate amount of frogs either side, we did some algebra! I only did this next part with my 11 year old who is very confident at maths, she enjoyed seeing that where there are patterns there is algebra. I asked her to find the nth term. To make an equation that would allow her to quickly work out how many moves it would take to solve this puzzle without actually doing the puzzle. If you would like to know the answer, the algebraic equation, then continue to the end, if not careful not to PEEK! If you are doing this with children with less confidence in maths, you may want to just do three frogs either side and let them build up. There is no rush it's not a race but the algebra is there for when they are ready.